In the 1970s the Kawasaki Z1 was the big dog of the sporting world. 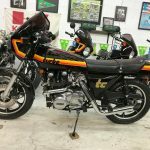 Long in the tooth as the decade neared to a close (the Z1 platform was introduced way back in 1972), Kawasaki introduced an updated model - the Z1-R. Largely a warmed-over refresh rather than an all new design, the R model had the looks to help it along in the showroom, but lacked the technology, refinement and performance that competitors were offering. 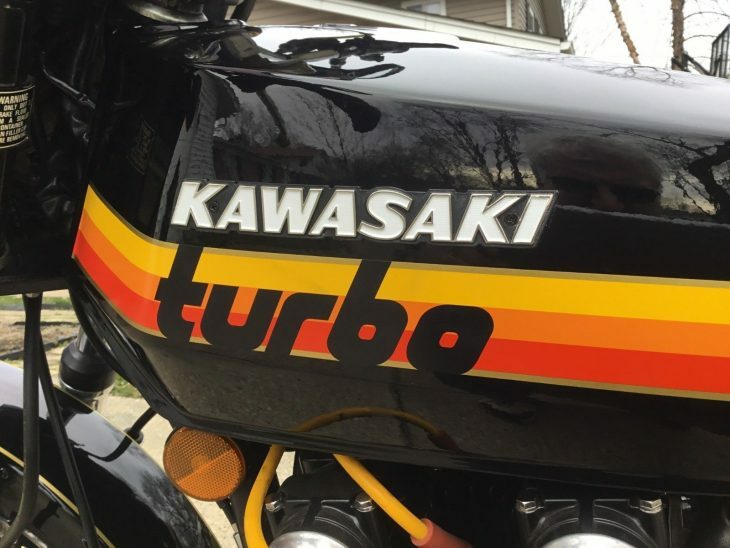 Enter a unique partnership between Alan Masek and his newly formed Turbo Cycle Company and Kawasaki. 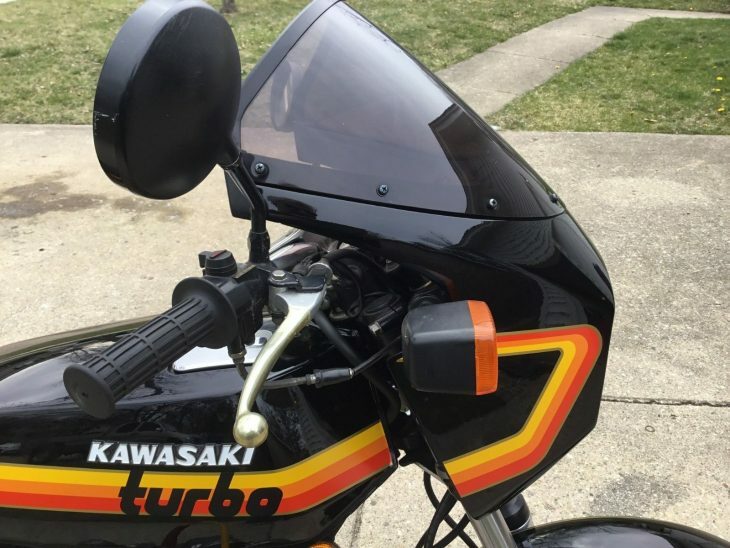 Masek was a former Kawasaki executive - and knew that the Z1-R was faltering in the showroom. 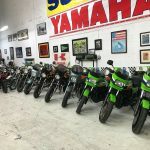 That meant there was a stockpile of bikes that Kawasaki couldn't sell. 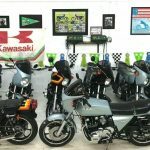 By marrying these unsold units to an American Turbo Pak kit and selling the bikes through the dealership network, Kawasaki was able to put itself back into the horsepower game with relatively low risk. 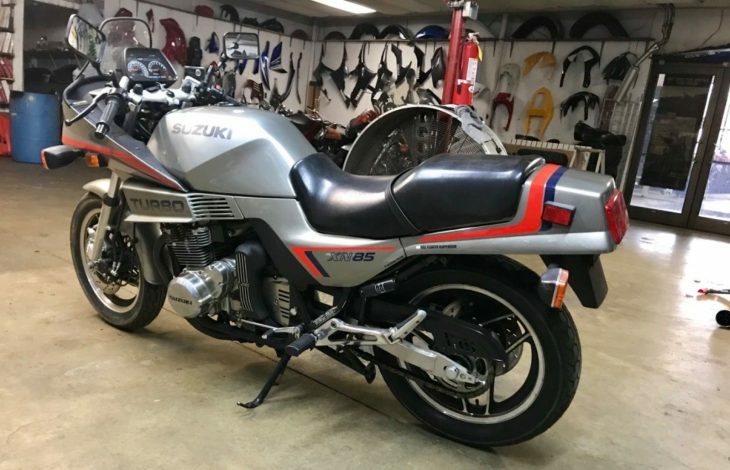 Thus the Z1-R TC was born. 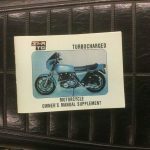 Beneath the sticker kit, the TC model was all Z1-R. 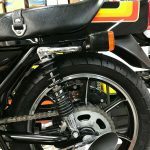 Same brakes, suspension, controls, engine and trans. 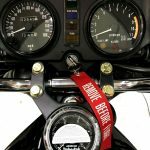 Outside of the bolt-on turbo and boost gauge, wastegate and associated piping, there wasn't much else. 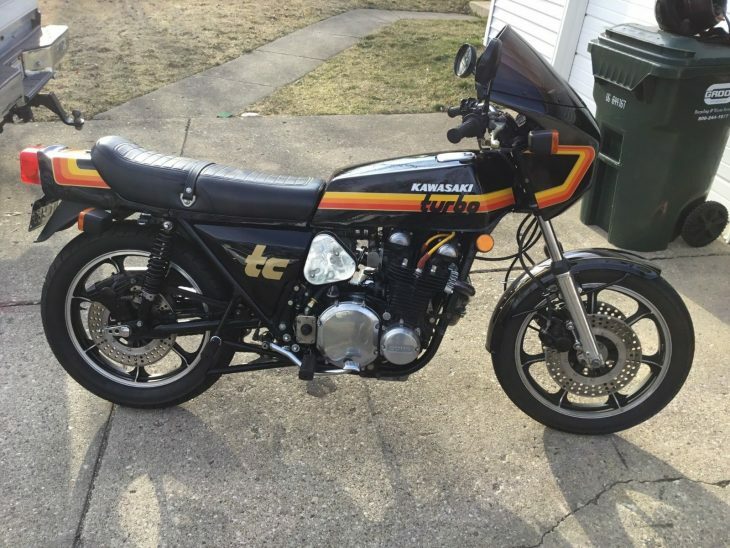 Your $1,400 premium to the already expensive Z1-R bought you graphics and outrageous horsepower. And voided your warranty. 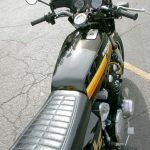 And while the Z1 platform was robust for its time, the lack of any engine controls (no fuel injection, no rev limiter, etc) meant that you were only one missed shift away from mechanical catastrophe. Keep in mind that all other engine internals were shared with the standard Z1-R. 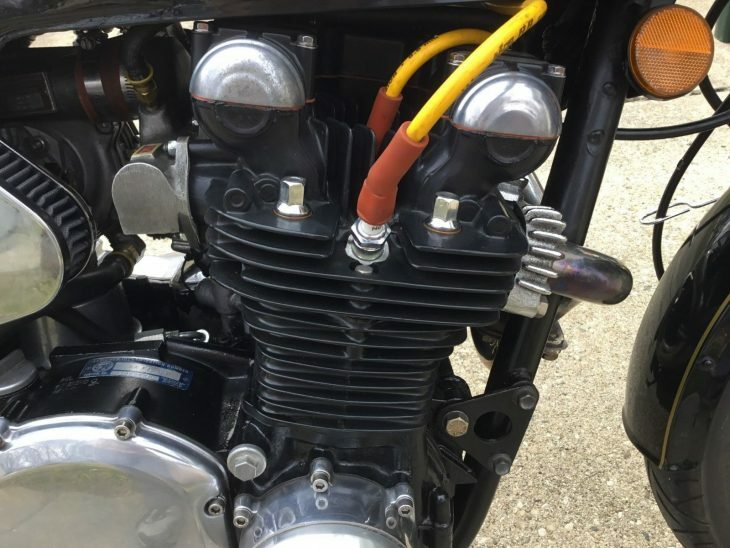 Therefore it was suggested that new owners upgrade to stronger valve springs, weld the crank and upgrade the clutch if the bike were to be used aggressively. Did I mention it also voided the warranty? 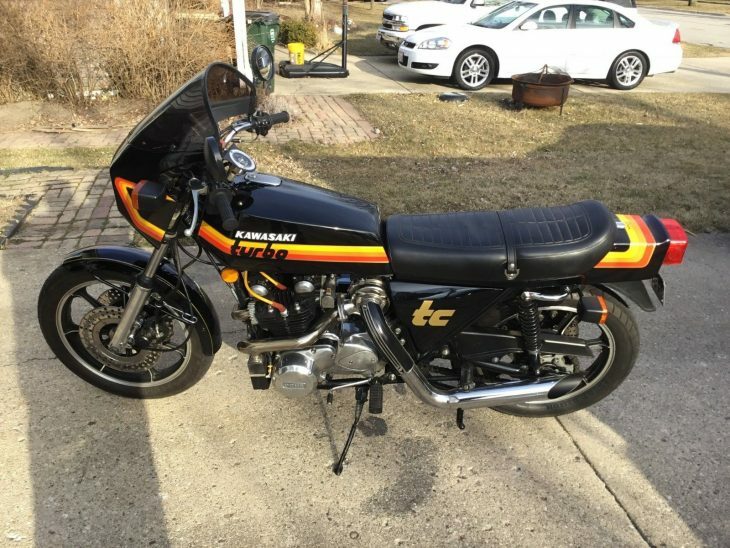 This 1978 kawasaki Z1RTC bike is one of 220 made and sold through kawasaki dealers. 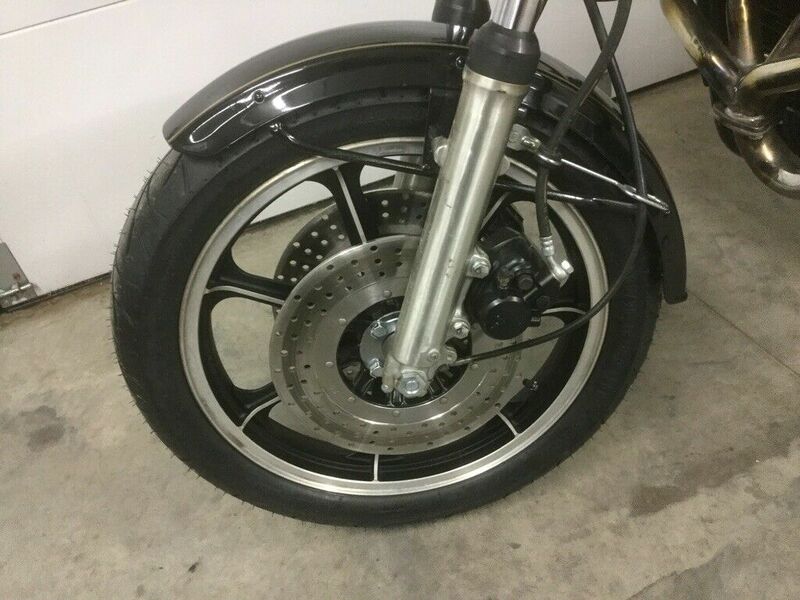 This bike is in good original condition and has had several new oem parts. Bike has been stored in climate control house garage. 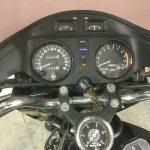 Lights and turn signals horn and other electronics work including the fuel and amp gauge. This bike has not been repainted. 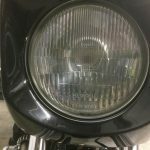 Worse thing on it is the fuel tank does have some light few chips in the paint by the neck. 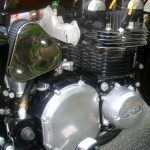 The engine cases are the original ones for the bike. It does have brand new correct size tires on it. New battery also. It is ready to ride. The motor has been rebuilt with new gaskets, seals and new paint on the cases. They are the only thing that has been painted. 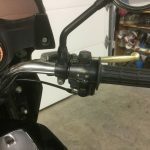 Has correct gas valve and wind screen. 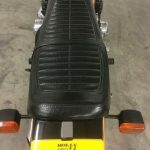 The seat is in excellent shape and comes with the hard to find kicker, the rubber is there for it but I do not have the bracket to hold it. Brakes have been all rebuilt front and back with hard to find parts.the turbo is in excellent shape also. 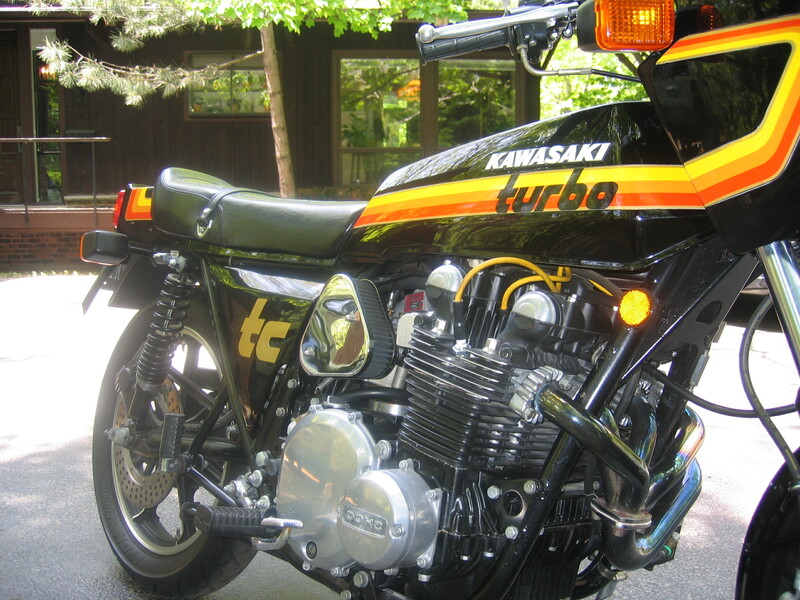 The wild paint scheme you see here was introduced on the second generation of TC bikes. 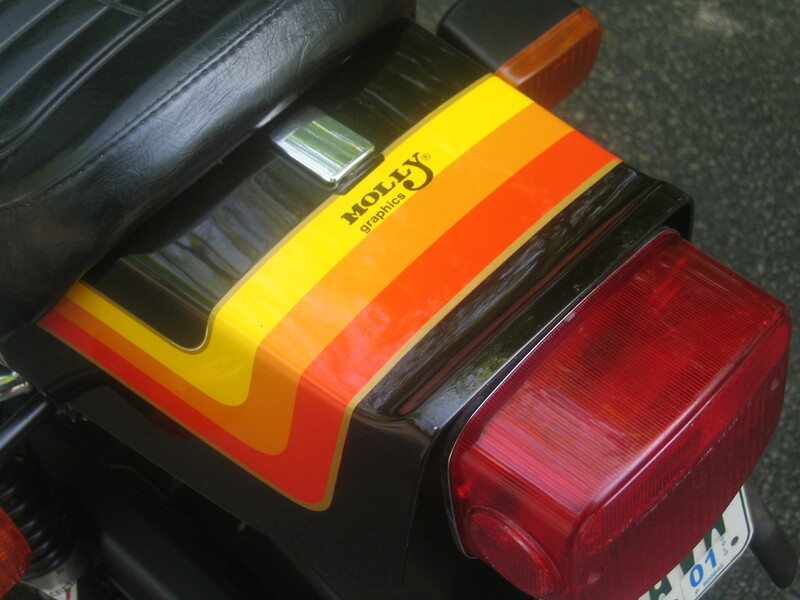 These are identified by the "Molly Designs" logo on the tail section. 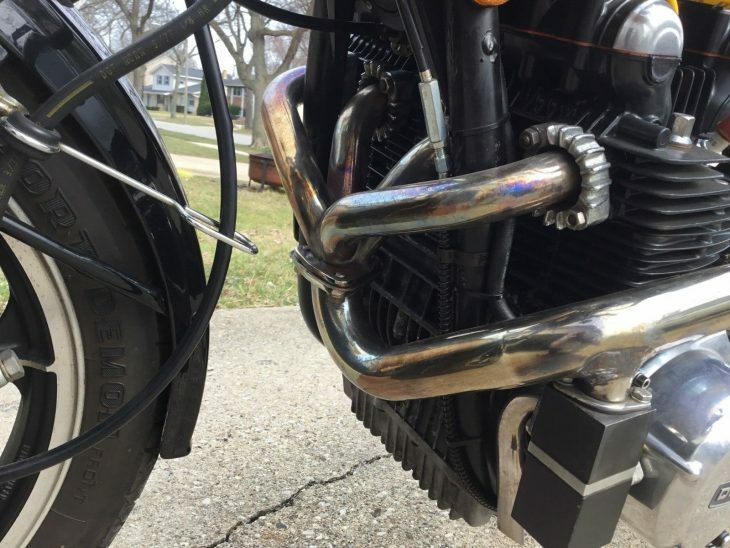 Numerous small upgrades were incorporated on the Gen II bikes, including an upgraded collector and exhaust system, and a factory-limited wastegate (now set at 6 PSI, rather than adjustable). 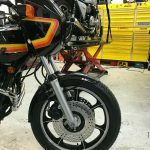 This was all in the name of making the bike more rider friendly, and to aid in the ultimate longevity of the mechanicals. And while the TC was certainly fast, it was by no means a showroom winner. 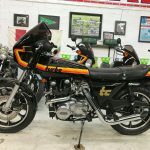 Sure, it gave Kawasaki street creds and horsepower bragging rights - but it was a "for experts only" motorcycle that commanded a serious premium. Many were pressed into service as drag bikes - and endured a difficult life full of breakages and modifications. Today finding a totally clean and stock Z1-R TC is a rare sight. 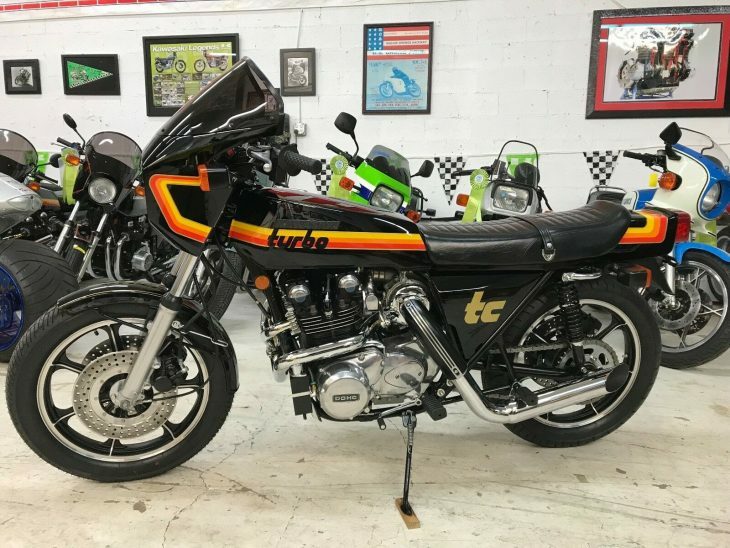 This particular 1978 Z1-R TC looks to be in pretty nice shape. 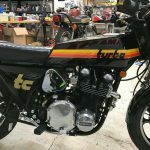 Wearing original paint and still holding onto the stock boost gauge, decals and info plates, the bike looks very close to original. 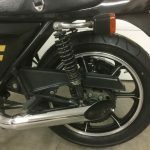 The engine has been gone through (not surprising given the age and the history of the model), but no information as to any potential internal upgrades (i.e. welded crank, etc). 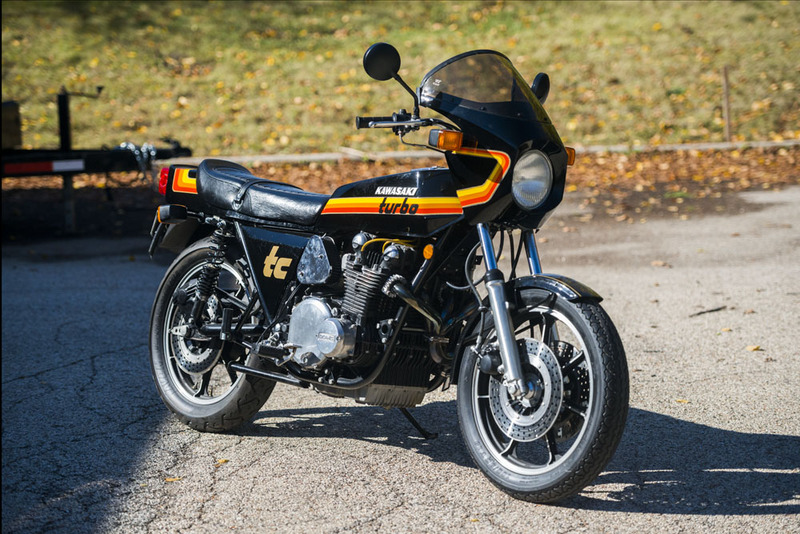 With fewer than 10,000 miles, this forty-something year old wonder is looking for a new home. 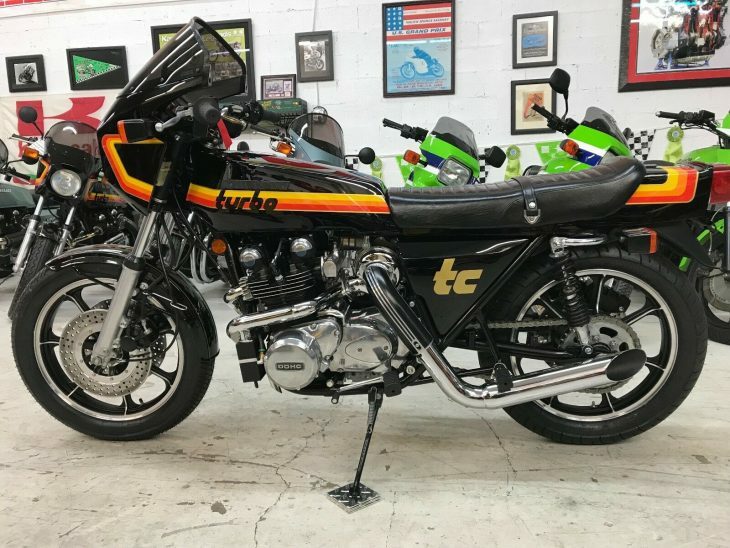 This is an iconic motorcycle in the annals of turbo charging, as it was the first TC bike that was officially offered by a major manufacturer (even if it was a partnership and not a full fledged in-house model). 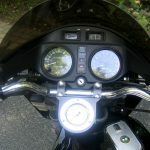 Prices for these bikes continue to rise, given the rarity and importance of the model. 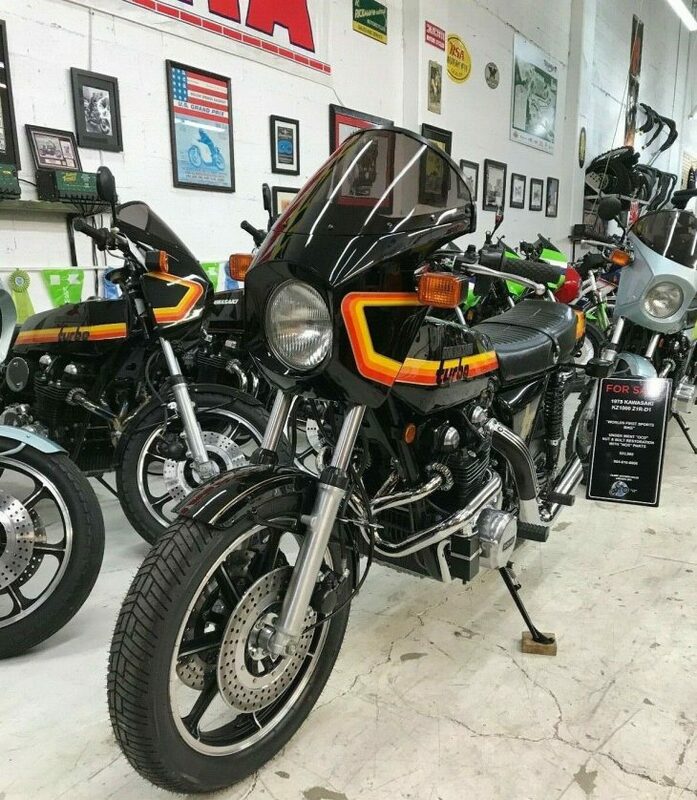 This particular one jumped quickly above $12k - with more to come and reserve still in place. Check it out here, and then jump back to the comments and share your thoughts on turbos. Good Luck!! 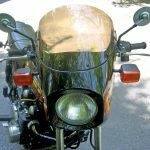 The 1980s represented a wild period for motorcycle manufacturers. Everyone was throwing technology at the performance problem, and all Big Four vendors went full speed down the Turbo road. Little did they know it would be a dead end street. 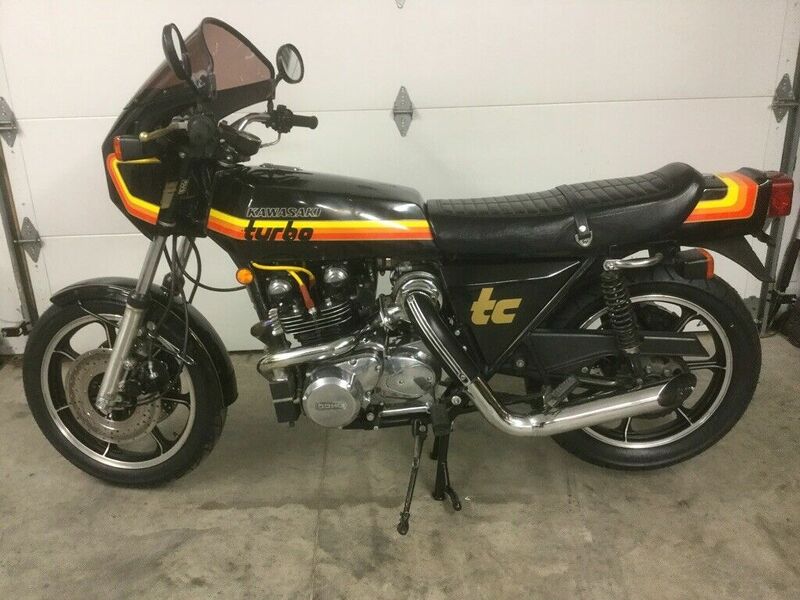 But while it lasted, the glorious promise of liter-bike power in a mid-sized motorcycle ruled the day. 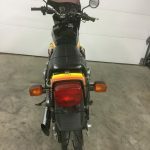 The mighty technological giant know as Honda was both the first - and the last - reveler at the boosted party, and built what many consider the most complete factory Turbo bike offered. 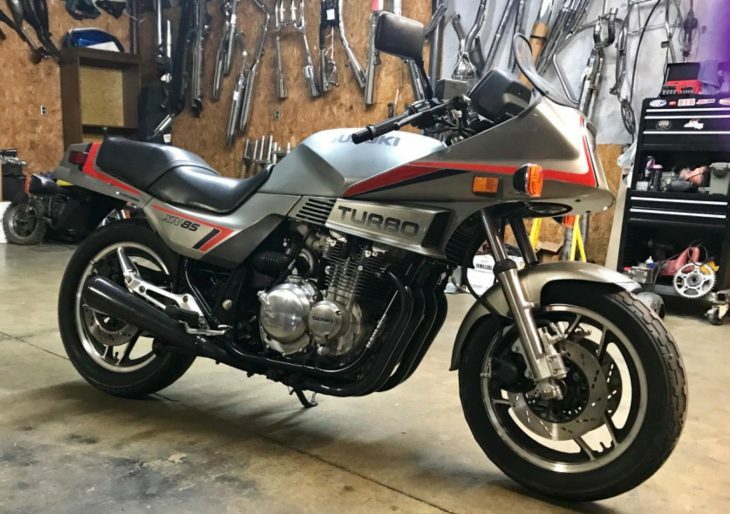 Enter today's rarity, the mighty 1983 Honda CX650 Turbo. 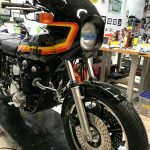 Long since known as the roll-on king, the CX650T produced real-world, usable power in a whooshing rush that was unmatched by contemporaries. 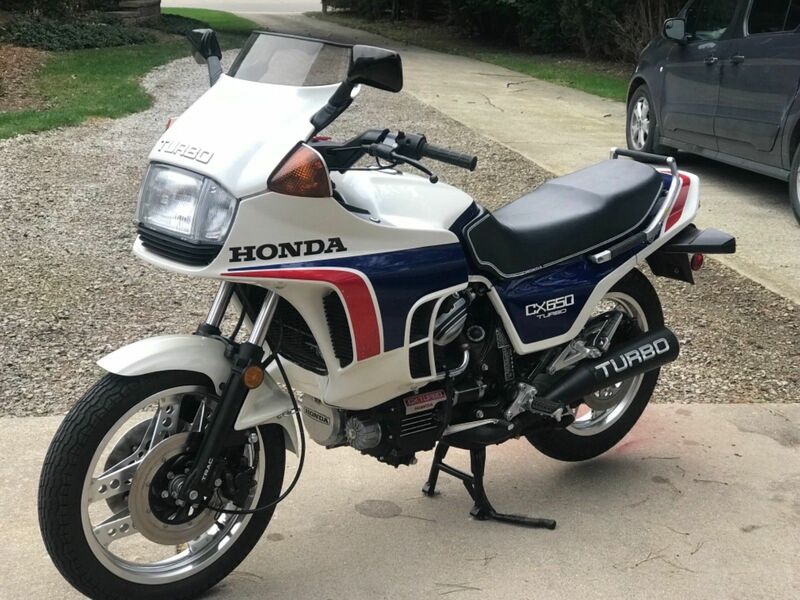 Offered for one scant year at a princely price, the 650 Turbo (just like the CX500 Turbo) failed to capture much wallet share of the riding public, and was discontinued. With it, the Turbo era was over. 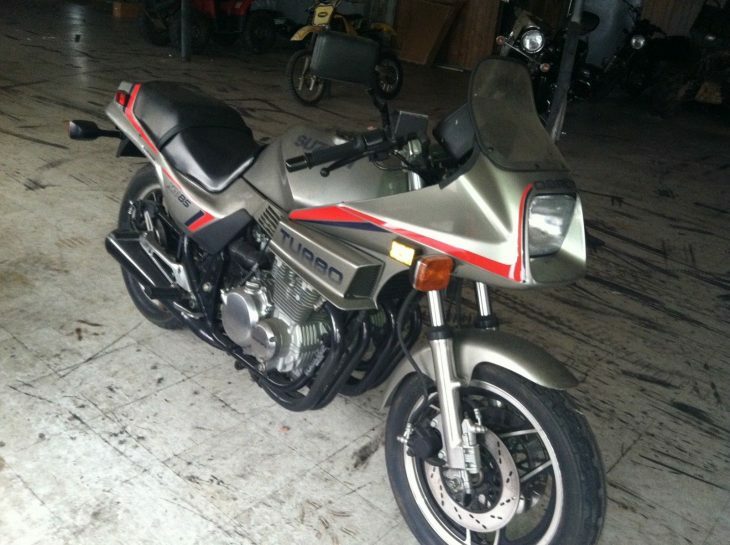 Externally the CX650T resembles a futuristic Silver Wing, and the apple didn't fall too far from that tree. 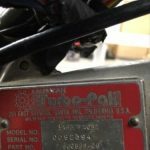 Utilizing a slightly beefed up bottom end, the Turbo model makes due with many of the CX infrastructure elements - which should tell you how over built the CX lineup was in the first place. A single turbo blows through the four valve heads. Fueling is provided courtesy of computerized injection (hot and heavy stuff back then). 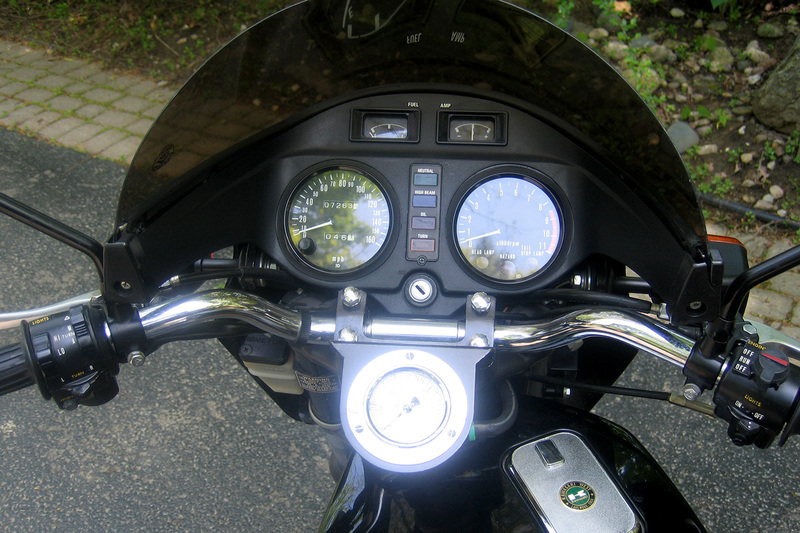 Optimizing for torque rather than peak HP, the 650 is good for about 100 HP. But this is no drag racer. 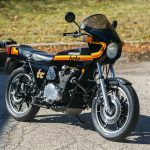 With shaft drive, air suspension, a heavy chassis, a beefy motor, nearly a of ton of electronics and the large fairing, the CX650 Turbo tips the scales significantly on the wrong side of 550 lbs. 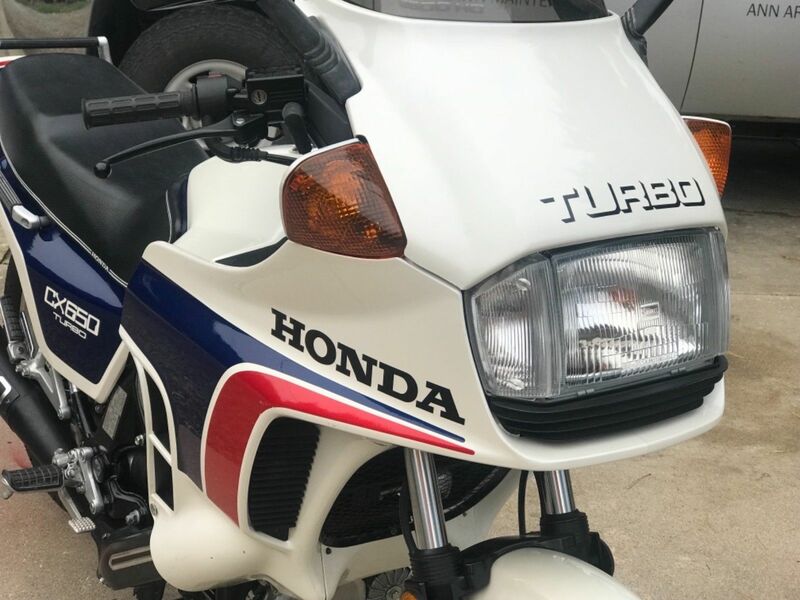 Honda wisely chose the "sport touring" theme with their Turbo bikes, partly due to necessity of packaging everything up. 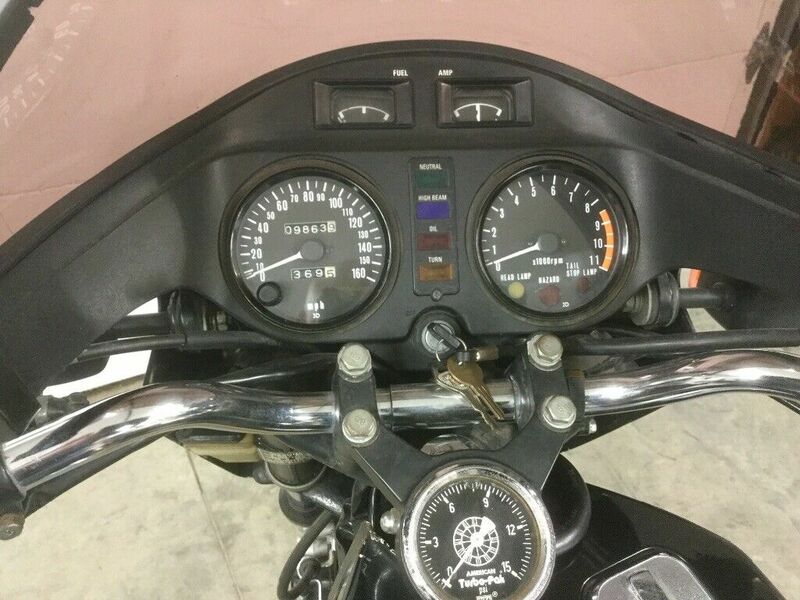 Front rear,only thing on this bike not Oem it the glove box cover,other then that .this bike is as it was sold new. 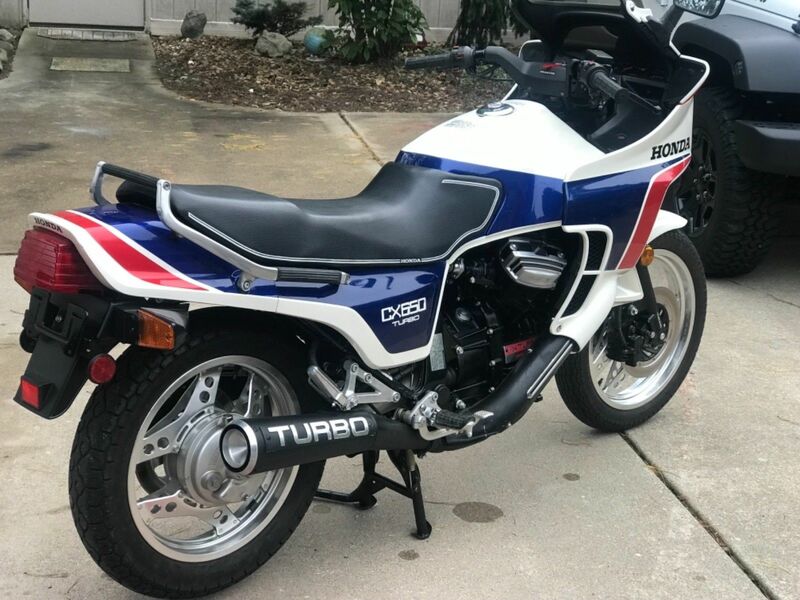 Turbo bikes are rare. With only 1,700 and change of the 650s ever made (and a reported mere 1,000 or 1,200 imported to the US), these beasts are not common. This particular bike sports only 17 miles... total! 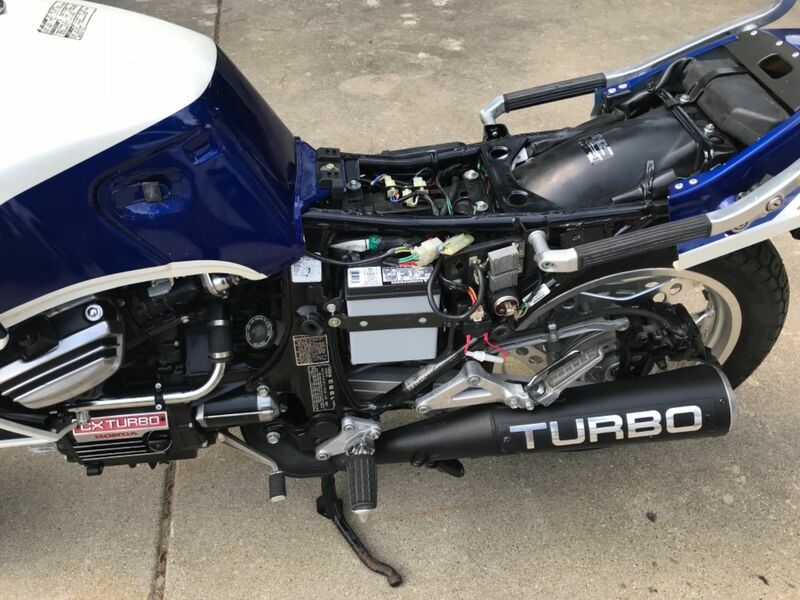 Low mile Turbo bikes are more the norm than the exception, but this is an extreme example. 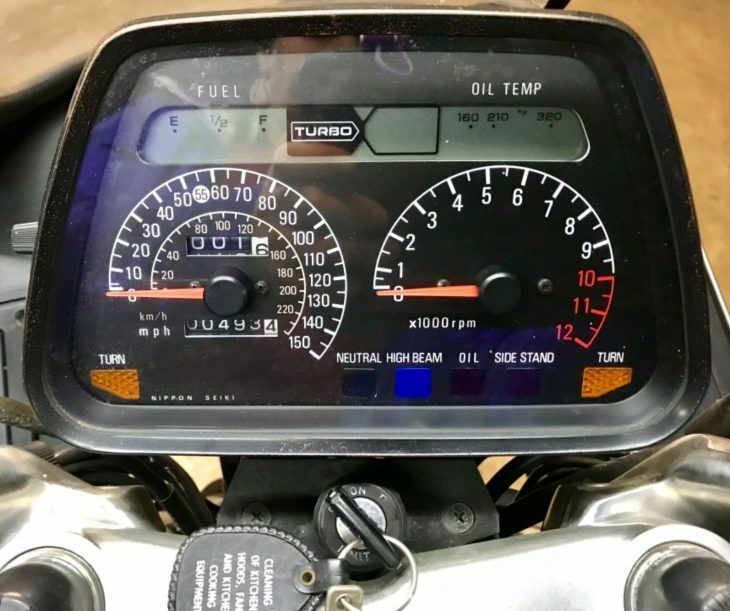 The only specimens that have fewer miles are those machines donated by Honda to technical schools for training and learning (those were never intended to be titled or ridden). 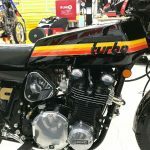 But miles are not to be feared on a CX650 Turbo. 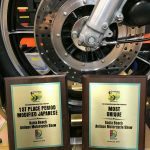 These are robust motorcycles with few real issues. 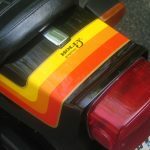 The key gremlins on the bike are electrical related. 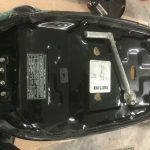 Stators are no longer available and the cause of many a charging system's demise. 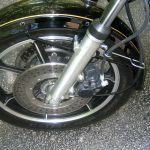 Removable connectors under the seat can get corroded, run hot under load and can burn out. Other than those items, regular use will keep items such as the turbo waste gate operational and happy. 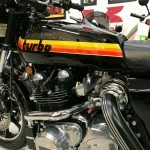 Turbo bikes have always been expensive relative to their same brand, non-boosted counterparts. That is part of the reason why they are rare; they simply were too expensive for the level of performance offered. And while they have been slow to appreciate (financial turbo lag?) they have been slowly climbing in price. 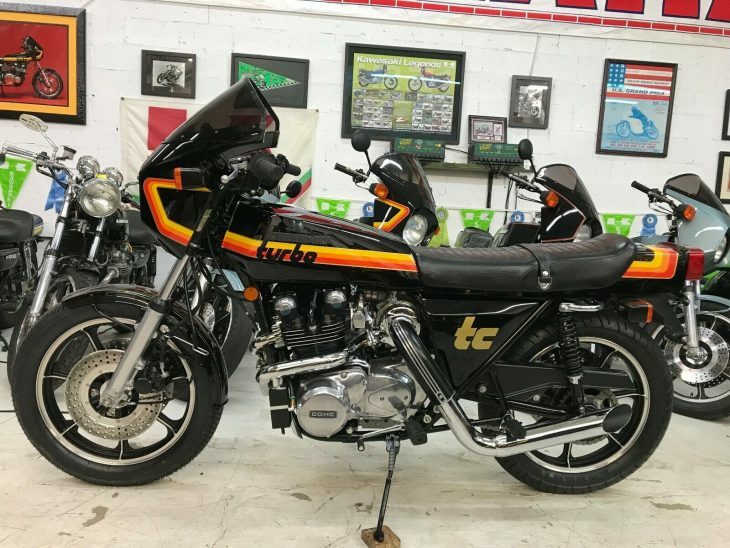 Top condition, low mileage bikes are on the sharp end of the field - as is to be expected with any collectible. The seller is looking for an opening ask of $8,900, which thus far has scared away bidders. Nearly nine grand is a big ask for a CX650 Turbo in today's market, especially as this is the opening ask of an auction. 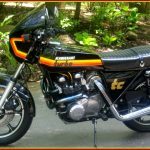 These are wonderful and unique bikes that deserve a good look if you are searching for a rider/collector machine. This one is priced a little high when compared to others we have seen, but is certainly not in absurd territory. 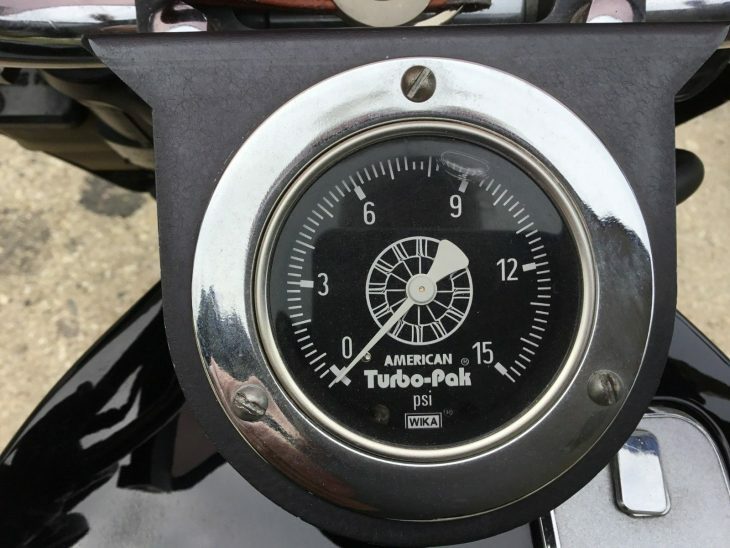 Check it out here, and then jump back to the comments and share your Turbo stories. Turbos need love too! Good Luck. 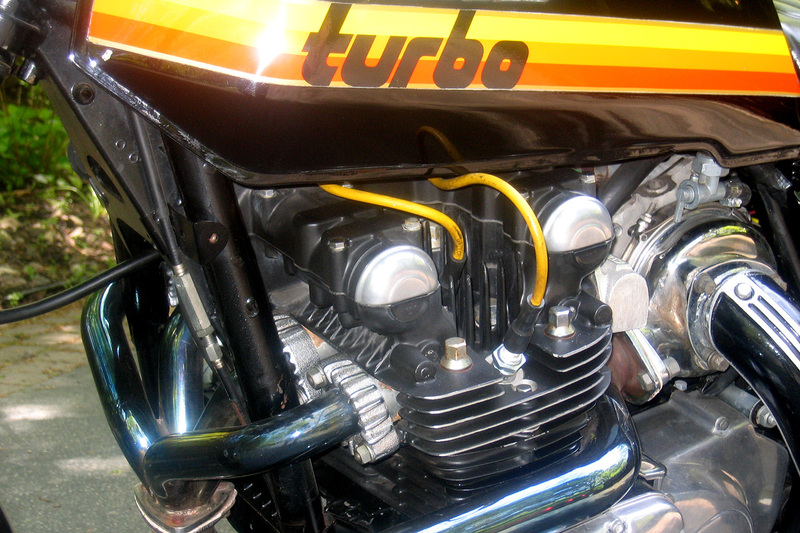 The dream of the 1980s was to turbo all the things. Cars, hairdryers, sneakers... 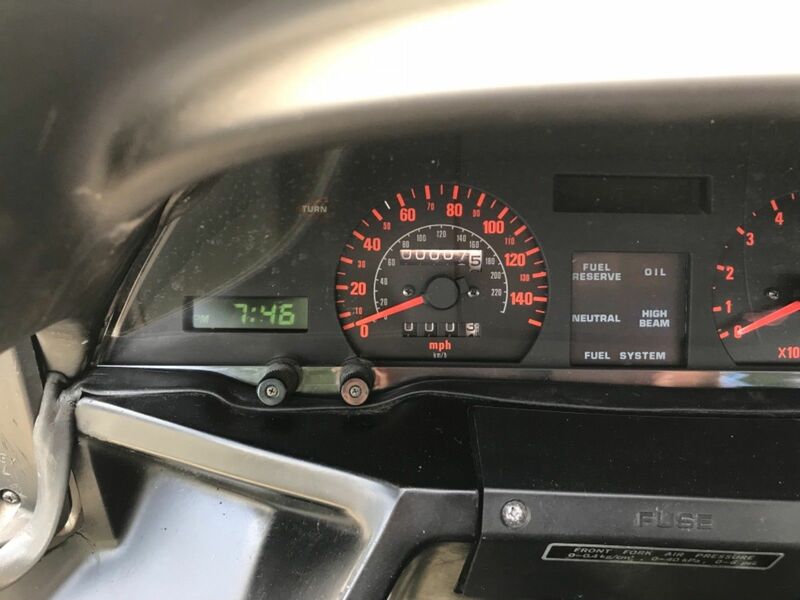 If you could buy it, someone was trying to slap a TURBO badge on it during the 1980s to help move units. 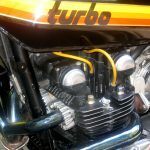 Actual turbochargers started showing up on commonly-available vehicles during the 80s to inspire that trend, but people were experimenting with turbocharged passenger cars as far back as the Oldsmobile Jetfire, Chevy Corvair Corsa, and Saab 99 Turbo. 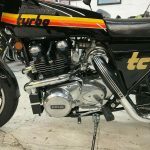 It took a bit longer for turbocharging to find its way into the production motorcycling world, due to a few challenges associated with the relatively primitive turbo technology of the time. 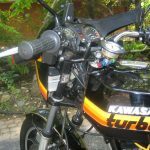 Of course, the term "production" might be stretching things a bit when you're talking about the Kawasaki Z1R-TC Turbo. 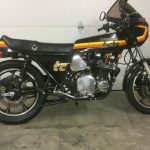 By 1978, the Kawasaki Z1R KZ1000 was decidedly old-fashioned, with honking big air-cooled four cylinder engine, a twin-shock rear suspension, spindly forks up front, and a frame that was less than cutting-edge. The package was generally competent and well-regarded, just a bit long-in-the-tooth. 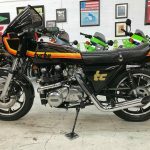 With the development of the much more modern GPz underway, Kawasaki needed to move some remaining stock and generate a bit of excitement for the brand. 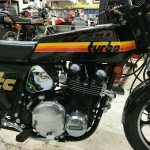 The TC Turbo, which took the already reasonably quick Z1R and added a RaJay turbo package that increased power by 50%, may have generated a little too much excitement. 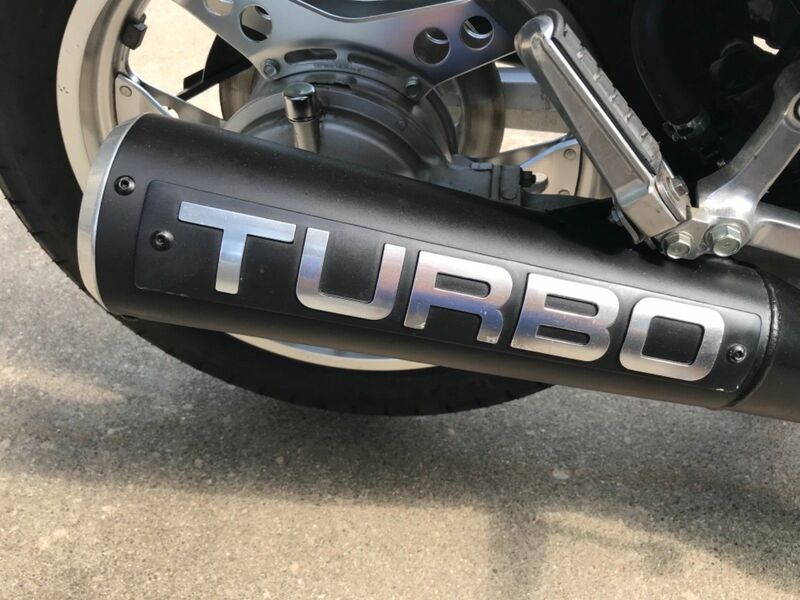 TURBO was a word associated with power and speed and modern and cool, even if most people really didn't know what it meant, or exactly how a turbocharger added power to an engine. A high school buddy of mine drove his mom's Mitsubishi Tredia L equipped with some sort of POWER button on the automatic shifter, and he was convinced that it activated "turbo boost," since he'd watched lots of Knight Rider and thought that's how things worked... What it probably did was lock out overdrive in the transmission, but you couldn't convince him it didn't actually release additional power. And likely a great many enthusiasts' understanding of the technology didn't extend much beyond that. 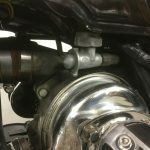 Turbos can make big power, but with that great power comes great responsibility and it was laughably easy to adjust the wastegate on the Z1R TC to allow boost far beyond what the stock internals could handle, leading to a sudden, explosive reversal of the normal interior/exterior engine component relationship. 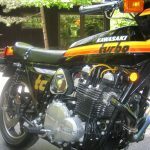 Sure, you could always opt to have your new Kawasaki's engine fully built to withstand the additional pressures, something that was actually recommended by the company, but how many people do you think bothered to do that? 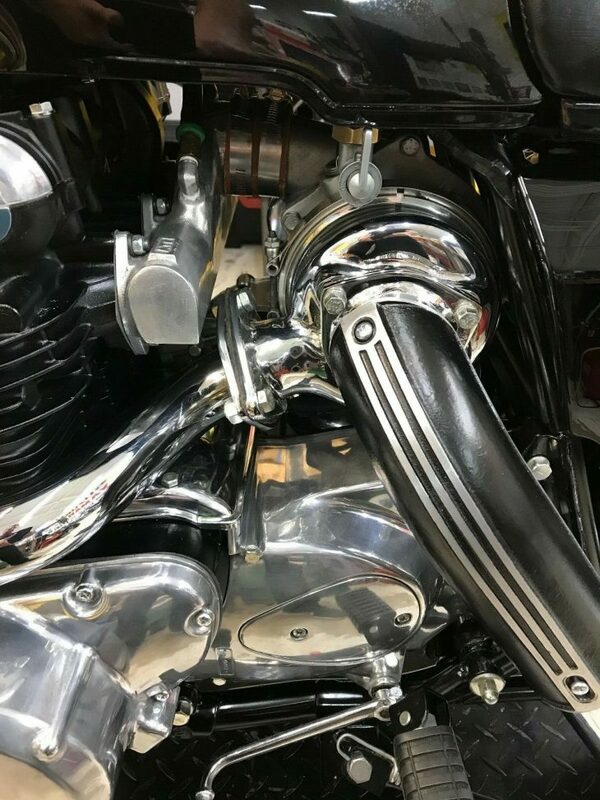 Turbochargers originally came into widespread use during World War II, and the advantages of forced-induction were exploited to allow combat aircraft to perform more efficiently at high altitudes, where reduced oxygen density significantly reduced power. 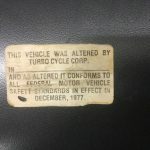 The move towards turbocharging in automobiles was also driven by necessity in the 80s, when the manufacturers were hit by significantly increased fuel-economy and emissions standards. A turbocharger allowed smaller, more efficient engines to perform like larger engines on demand. 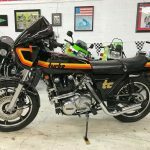 Created through an arrangement between Kawasaki and Turbo Cycle Corporation (which was founded by ex-Kawasaki Marketing Director, Alan Masek) brand new Z1R's were sent to TCC, who then modified them with a RaJay turbo and badging. 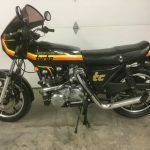 These modified bikes were then sold through select Kawasaki dealers- without a warranty. THERE WERE ONLY 500 BUILT. 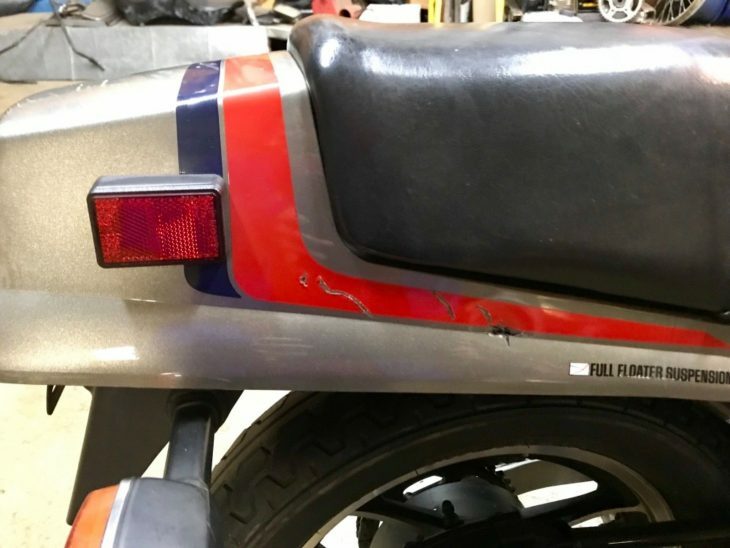 The gas tank side covers, header panels, and tail section have been repainted and color matched to an original Z1R TC. 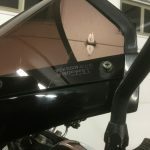 It has all new decals from reproductiondecals.com. 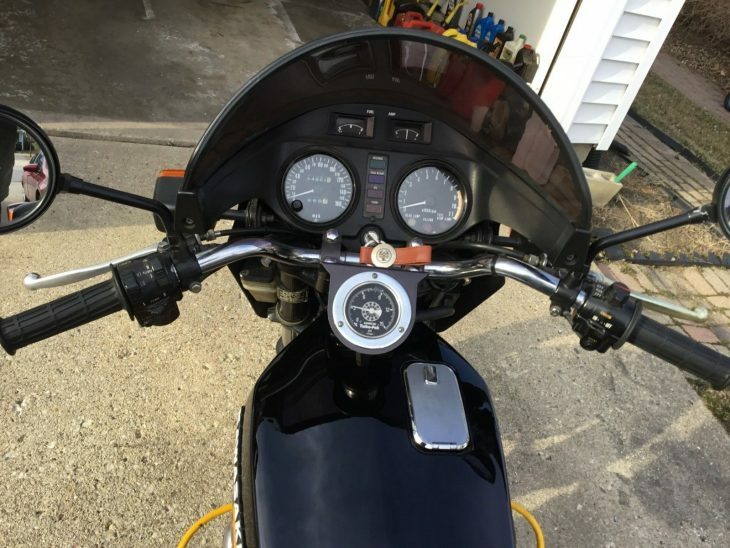 So much work has been done to this bike. There are approximately 40 miles on the top half of the rebuilt engine. 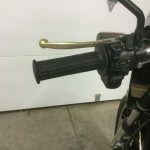 the cylinder was removed, sand blasted, honed, and painted. 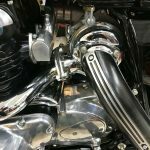 New piston rings have been installed. 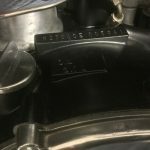 I purchased a like new cylinder head that has all new component parts. The original head had two hairline cracks. 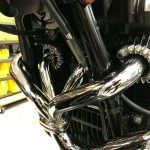 The forks were removed, cleaned, and polished with new dust covers. It has a new battery. 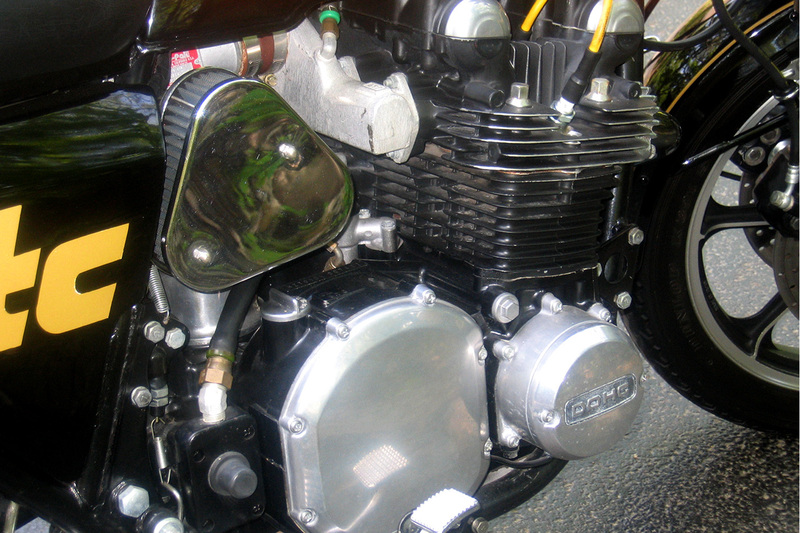 It has a rebuilt,older style Keihn carburetor. 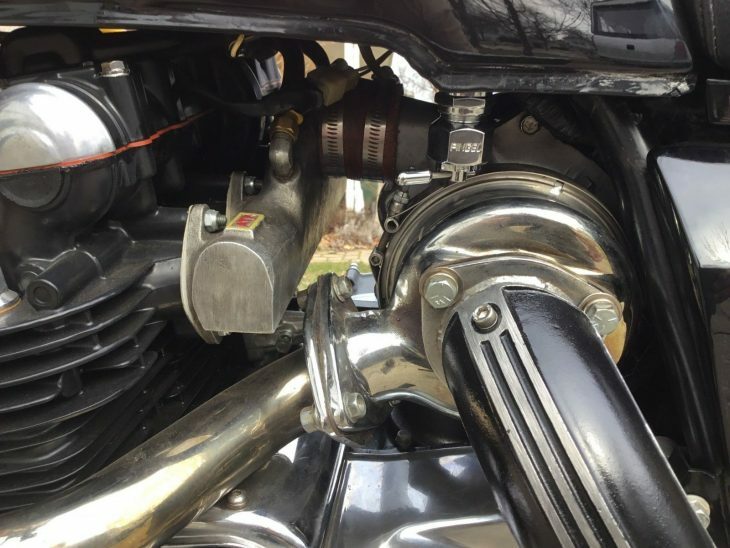 I have the original Bendix carburetor, but as most people know, it runs smoother with the Keihn carborator. 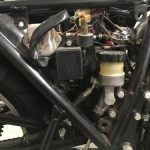 The Rajay turbo 370 F 40 was rebuilt by Mr. 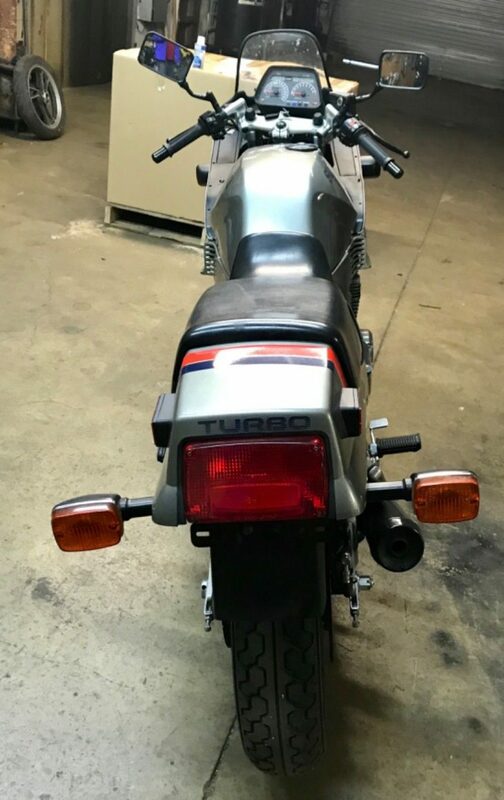 Turbo. The seat has no rips or cuts. 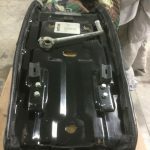 The seat pan was removed, sanded, primed, and painted with stock stickers installed from reproductiondecals.com. 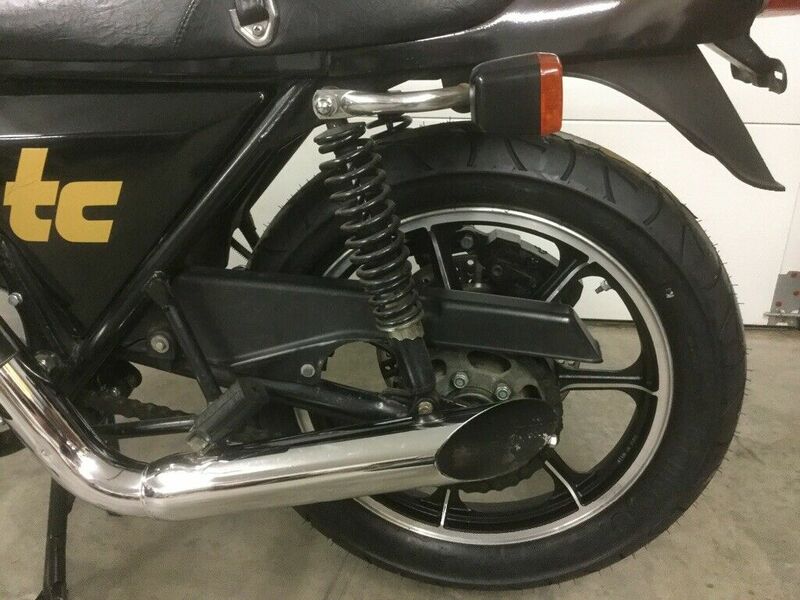 The bike starts, sounds, and runs great. I have all of the receipts from the mechanical work. 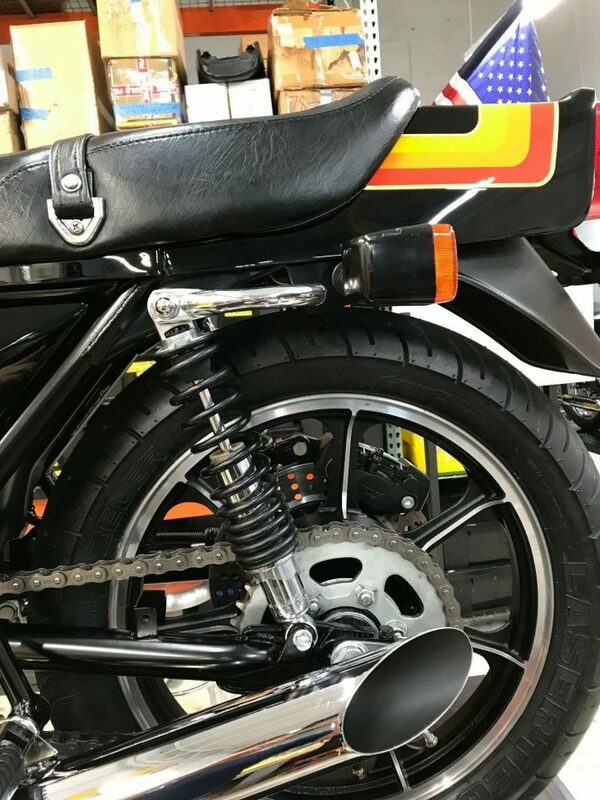 Only if i feel you are very serious, I will provide you with the name of the motorcycle service center who performed the work on my bike and send you copies of the sales and receipts. 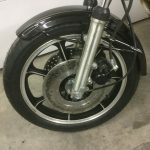 Before the engine was rebuilt, I replaced the tires which are Pirelli Sport Demon. 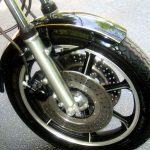 The sprockets and the brake pads were replaced. Those items have about 200 miles on them. The only item i know of that is not an original item is the Pingel fuel valve. 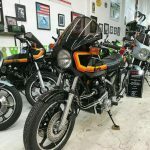 Passed down from the original owner are the owners manual, turbo supplement manual, and black vinyl Kawasaki pouch, which was provided for Z1R TC conversions. Both manuals have all the pages intact, and are not oily or greasy. 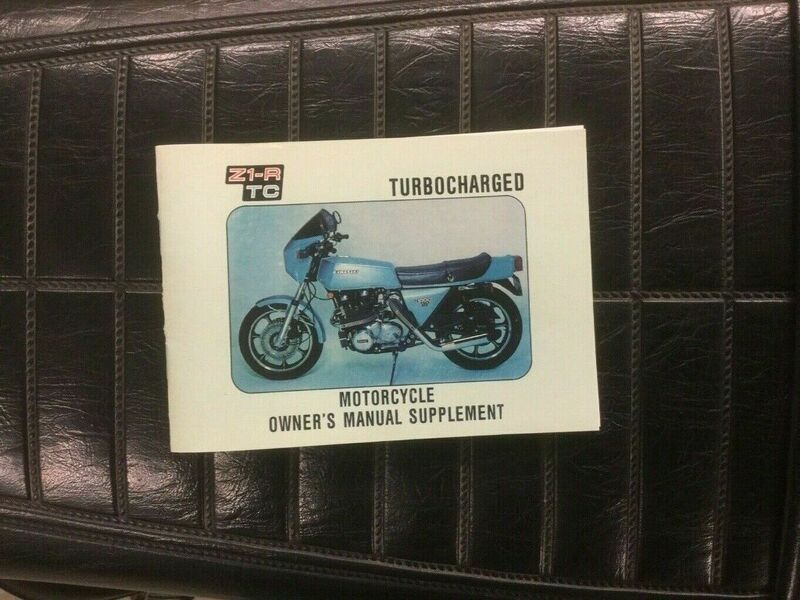 By the way, I know on Ebay, there are reproduction turbo supplement manuals, but this one is original. You can tell by the yellowing pages and semi brittle paper. All three items are 40 years old. 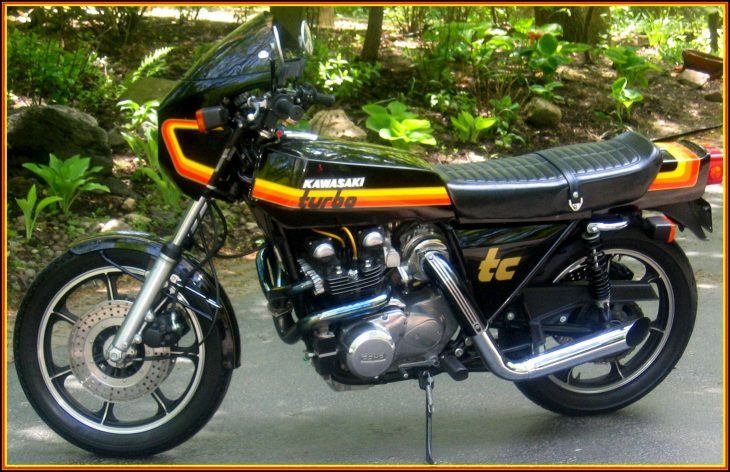 This actual bike, and not one just like it, is pictured in a hard cover book written by Tony Sculpher title, "Kawasaki (K) Z1000 Z1-R." I have the book. 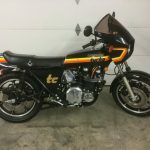 I bought the bike from a collector of Z1R TCs. I wont divulge the info of the collector on ebay, due to privacy and legalities. I made a copy of the title while it was in his name, before I sent it to be transferred to my name. His name is in the book with a picture of my actual motorcycle above the description. All of the instrumentation works. 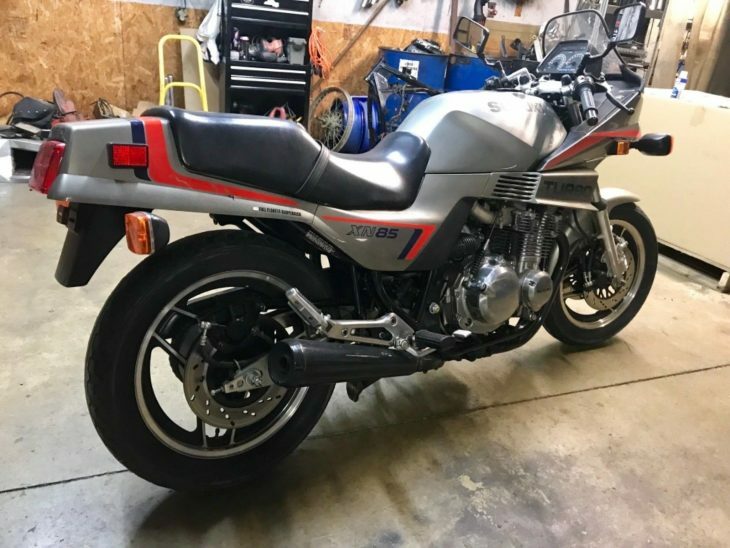 The bike starts, sounds, and runs great. 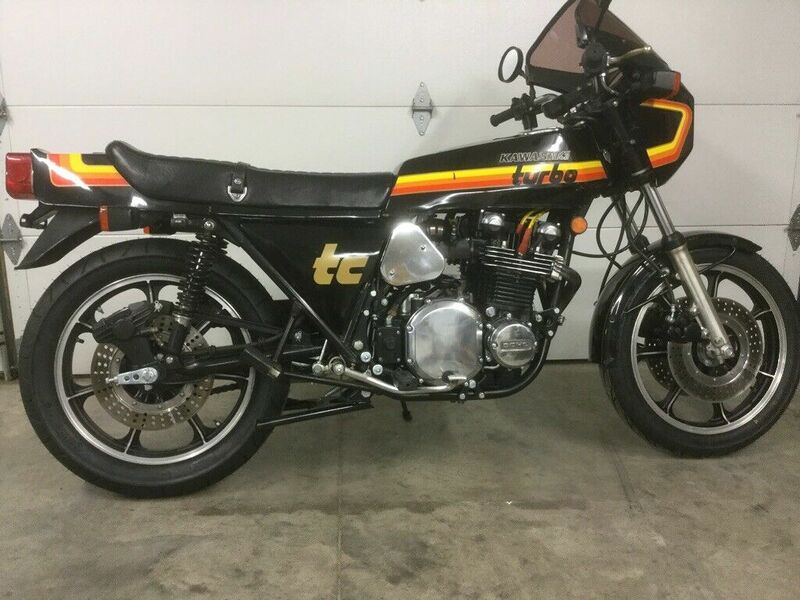 This bike's VIN is listed in the official Kawasaki registration for TCC bikes. 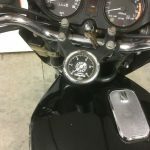 I am posting a few photos, however, if you want more, please state the area of the bike that you want more detailed photos of. The frame VIN is KZT00D006472. 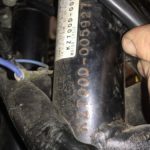 The engine number is from the state police of California as it looks like there must have been an engine case issue which required a factory replacement. 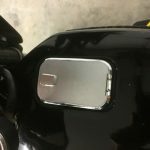 Replacement cases from Kawasaki do not carry an engine number and come blank. I will assist with your shipping, but will not be responsible for the shipping. If you're in the market for a Z1R TC [and who isn't?] this looks like a good one. Unfortunately, as mentioned at the start, the listing has been pulled, so I'm assuming it "sold locally." 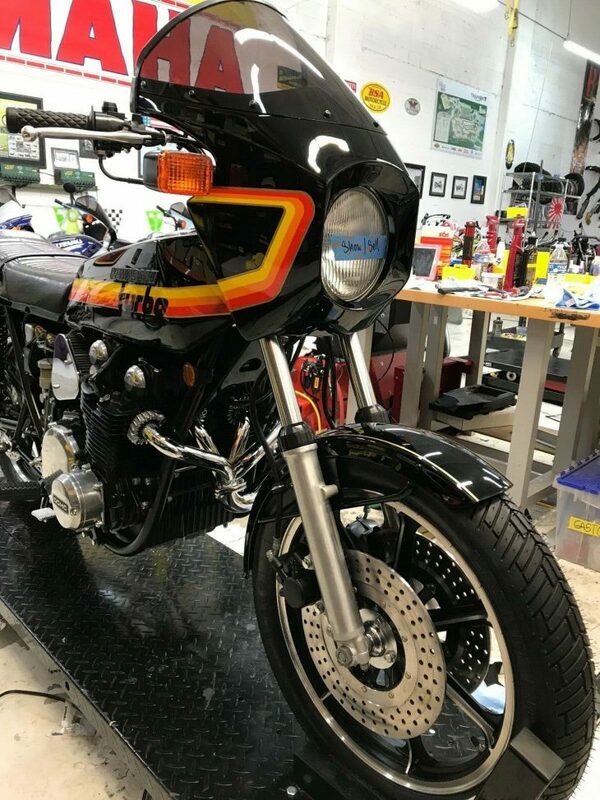 It's clearly been owned by a knowledgeable enthusiast and, although it isn't sporting original paint, it appears to have been painstakingly restored. 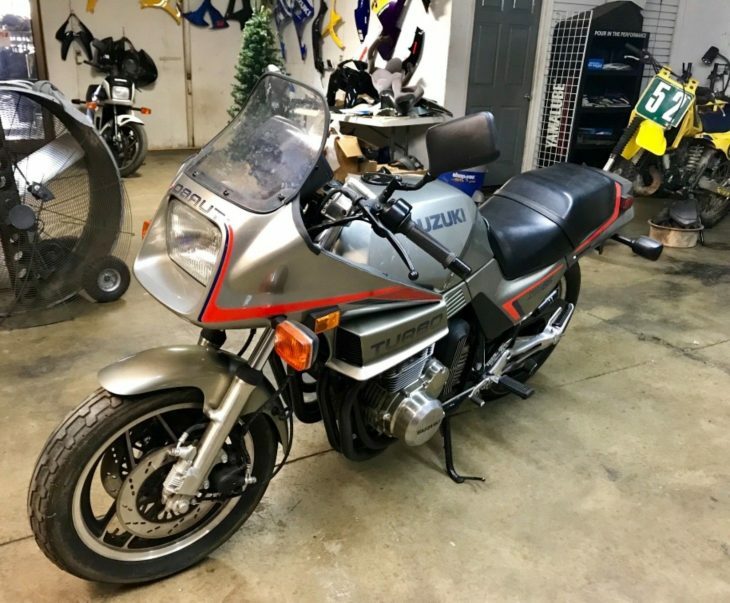 This is about as nice a machine as you're likely to find, with history, appropriate mechanical updates, and even a very comprehensive video with lots of commentary.